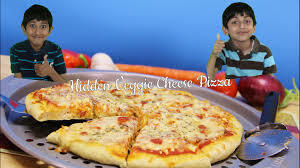 Kids love pizza! It does not matter how many times they eat it, they still want more, whether at home or at a restaurant. It is common to find parents trying to limit the intake of this delicious meal so that the children can eat healthy alternatives instead. From various forms of research, it has been determined that the amount calories found in this popular food is quite high for kids and should be avoided at all costs. However, including a pizza meal at least once a week will make the kids quite happy. Fortunately, there are a number of ways through which parents can keep children healthy and still allow them to enjoy their favorite pizza. In most homes, the default meal when no one feels like going into the kitchen is to order pizza and call it a day. However, this regular buying of pizza can result in an unhealthy lifestyle thus making it important to limit the amount being bought on a weekly basis. If possible, only buy pizza once a week and allow the children to eat only one slice. You can use a convenient service such as Get Pizza Today, which allows you to order pizza electronic gift cards from your favorite stores (Pizza Hut, Papa Johns and Dominos) using PayPal funds. Pizza Hut has a special kids menu for parents that want to order food specifically for their children. The pizzas on the menu are made in a kid friendly manner using tasty ingredients to ensure that your children enjoy their meal. Preparing pizza from scratch at home is another ways of ensuring the meal is healthy because you can use ingredients that are good for your kid’s growth. Use basic recipes, which include toppings, sauces and cheeses that are healthy yet the final outcome is delicious. Some toppings that are healthy include lean meats, vegetables and grilled chicken among others. The cheeses used can be low fat and the crusts gluten free so that the final result is a yummy pizza that your kids will enjoy. When going out for pizza, it is important to look through the menu and make a selection that the kids can also enjoy. Since most of the pizzas offered at these outlets have many calories, you can reduce the amount the kids take in by ordering a healthy side dish. Some good side dishes are a bowl of fresh salad that can be paired with the meal so as to limit the calorie intake. Also, ordering water instead of soda is also another way of ensuring that the kids take in few calories as possible when eating out. 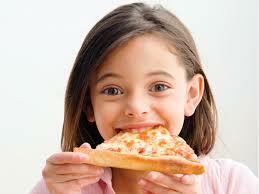 In general, kids do not have to be banned from eating pizza because medical experts say it is unhealthy. Parents only need to put in a bit of creativity and adjustments so that their family enjoys pizza whenever they want. This entry was posted in Living and tagged Healthy, Pizza, Ways.